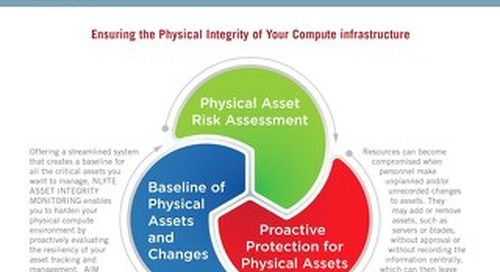 The compute infrastructure is the critical workhorse of your organization. 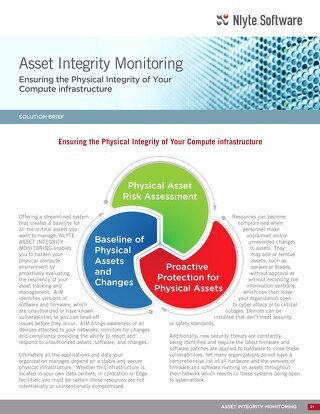 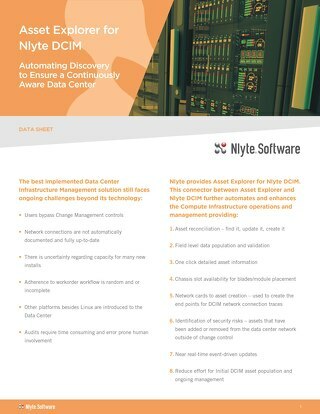 Extracting efficiency and bolstering security and reliability from data centers, Colocations and Managed Service Providers, and Edge computing, is more than prudent, it keeps your organization out of the headlines. 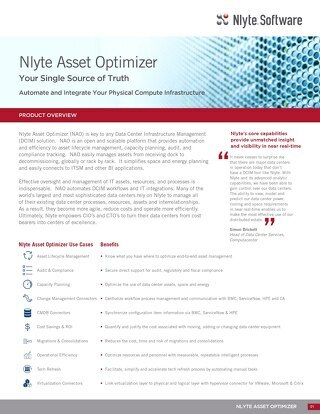 Nlyte Platinum is an end-to-end Data Center Infrastructure Management (DCIM) Solution that ensures efficiency, reliability, and security for your organization's most valuable assets. 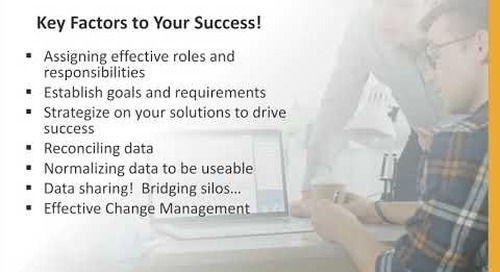 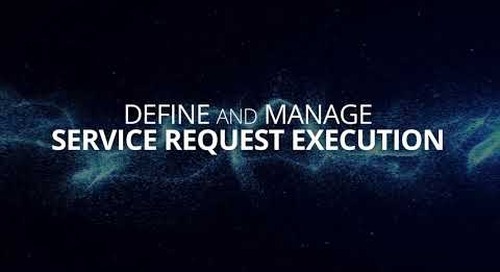 Watch the video to see how CBRE talks Data Center Infrastructure Management (DCIM) to Gartner Audience. 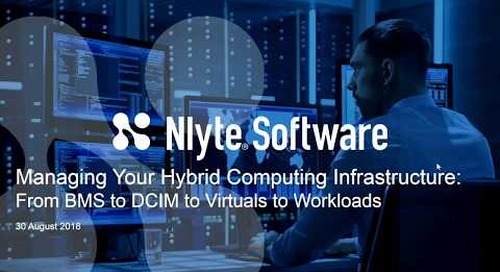 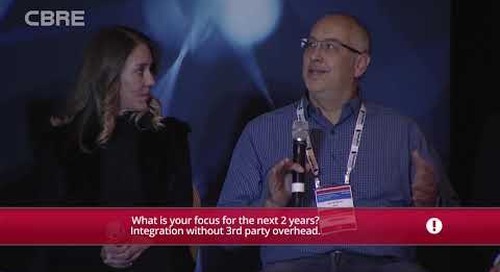 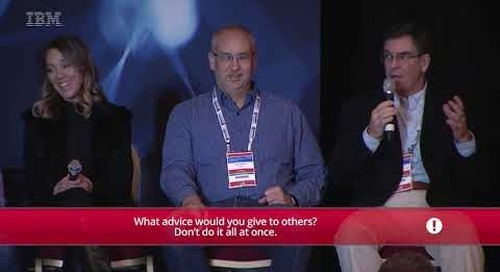 Mark Gaydos, CMO and Enzo Greco, CSO of Nlyte explore just how manageable your complex compute infrastructure can be, is the Cloud the answer, and is now the time to adopt AI and machine learning? 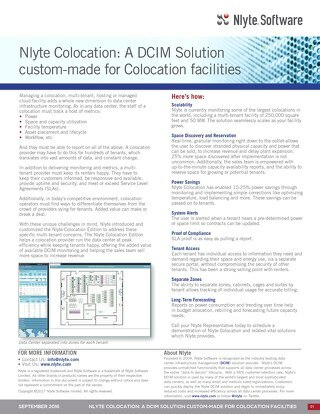 Learn how the Nlyte Colocation Edition helps colocation providers run their data centers at peak efficiency. 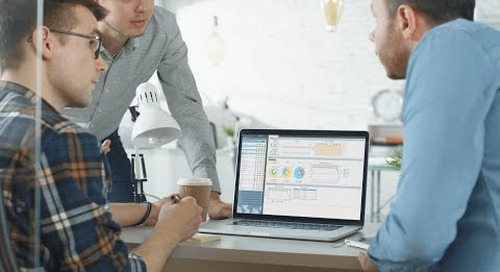 IBM describes the scope, gained benefits, ease of use, and recommendations to others looking to implement Data Center Infrastructure Management (DCIM).